Paris Saint Germain star player Neymar has been heavily linked with a move away from the Ligue 1 side after emerging as a target for both Real Madrid and Jose Mourinho’s Manchester United. The samba star joined PSG last summer for a world-record transfer fee but has failed to settle down properly in Paris. Right now, there are indications the Brazilian superstar keeps regretting his decision to quit Barcelona for a side like Paris Saint Germain last year. 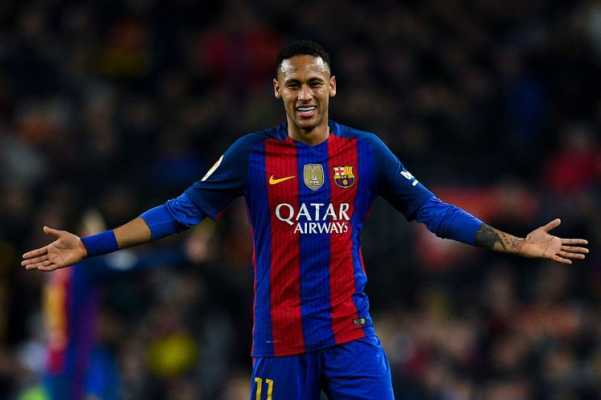 However, despite leaving Camp Nou in a controversial manner, it is understood Neymar still keep ties with his former teammates at Barca. And according to new reports circulating in Spain, the 26-year-old has told them that Manchester United have given him an offer to move to Old Trafford at the end of this season. Nevertheless, Manchester United won’t be getting him that easy – due to interests from Real Madrid. The Champions League winners are expected to splash huge cash to reinforce their squad when summer comes, as they are about losing the likes of Gareth Bale and Karim Benzema at the end of the current campaign. However, Spanish news outlet Don Balon suggests Manchester United are set to do all it takes to sign Neymar to enable them to become unbeaten. Paris Saint Germain paid £200million to get the player’s signature last year, and the red devils are reportedly ready to pay a fee in the region of £345m to sign Neymar.